Wasn't sure where to put this but I had to share it. This photo was taken from the street in front of my house 15 minutes ago. 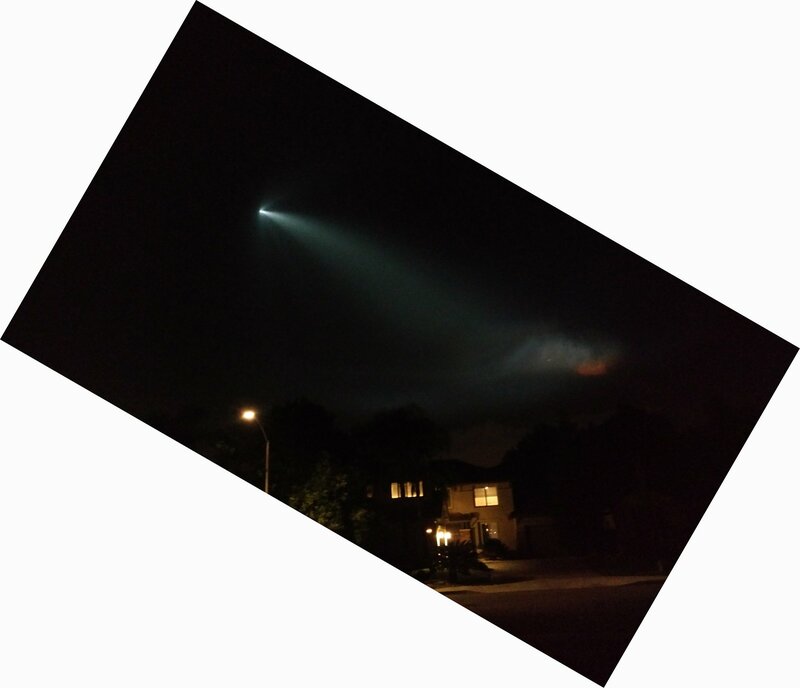 Space X launch out of Vandenberg AFB. That is pretty cool! I'm sorry I missed this. Occasionally I get to see launches out of Wallops, but nothing this spectacular.